In 1967, the Soviet Union's top science fiction writers - brothers Arkady and Boris Strugatsky - conceived a new novel. By the time they lovingly struck the last period, they knew this book, a master work, would never be published. It was so dangerous, that it could not even be shown to people. The English-reading world now has a chance to read this fantastic work, thanks to a translation by Andrew Bromfield and The Chicago Review Press. "The Experiment is the Experiment." A species of non-humans, which the characters refer to as Mentors, is running a massive experiment. For this to work, human beings must be part of it, live within it, and never know anything about it. [Douglas Adams fans will recognize this premise, but The Doomed City came much earlier.] Mentors recruit across time and space on Earth, offering a choice to the despondent, the desperate, and those about to die: continue along your current path, or come join The Experiment. If the person is agreeable, they are transported, by unknown means, to an artificial world: the "sun" is switched on and off each day, weather is controlled by the Mentors, and participants are assigned jobs and living quarters. 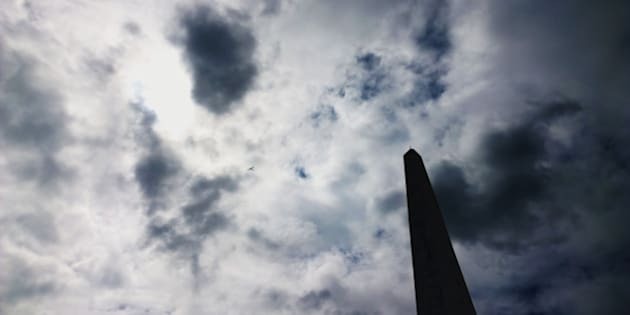 Andrei was suddenly transfixed by a poignant joy at the thought that all these people from different countries, and even from different times, were all here together and all doing one thing of great importance, each at his own post. Which is not to say that this is a novel without action. In fact, the action is gripping. The Strugatskys have stuck just the right mix of moving plot and didactic conversation to keep the reader gripped and thinking. They also refrain from telling you what to think. Much like The Mentors, the Authors do not wish to taint your experience by dictating your opinions. The Doomed City is written in one of my favourite styles: sparse description. The reader is given just enough to be able to fill in the rest themselves. This is particularly useful here, as The City becomes your city, one that you know, which makes the various social points made relevant to you. This is what makes the book so compelling. It would be easy to think "Cold War era, Soviet Sci-Fi, main character is a Commie. I'm going to have problems identifying with this book." In fact, it is just the opposite. It is such a great read that you forget all of that. Often, even one forgets that the characters come from drastically different backgrounds... which makes a point, in and of itself. The Doomed City enters the magnum opus category because it is a completely un-dated book. While the characters are of specific times, the discussions they have, and the underlying themes, make the Strugatsky's novel timeless. Geopolitics have changed greatly since it was written: The USSR is no more. Global terrorism has replaced the cold war. But with increasing fascism, vocal racism, poverty, and people being people, City is every bit as relevant now as when written. Seldom will you come across a novel which gives you The Great Ahhhh of Satisfaction when you have finished it. Even rarer are books which explore multiple socio-political systems while keeping you from nodding off. And rarest of all are books which serve as warnings, while still letting you form your own opinions. This is one of those extremely rare books.. Put The Doomed City in the bookcase next to 1984, Farenheight 451, Ultima Thule, and Ballard's Kingdom Come. If you aren't a Sci-Fi fan, it fits equally well alongside Animal Farm, Red Harvest, and Catch-22. 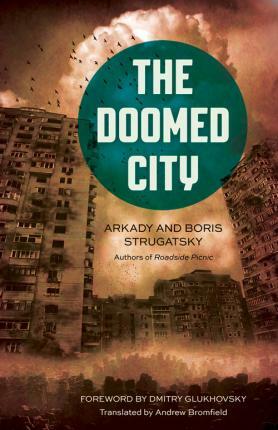 The Doomed City is available from most retailers, and in a variety of bindings and electronic formats direct from the publisher. Book cover courtesy The Chicago Review Press.